Listeners, I wanted to update you on upcoming programming and my planned but aborted dental surgery for this week. When I want in for the pre-surgery screening appoint on Monday, they disqualified me from surgery because the cold/bronchitis I had been having all week (I mentioned it on the live shows) had gotten worse over the weekend and I was forced to delay the dental surgery until May 23. I've spent the week on a ton of meds working hard to rest and shake off the bronchitis which is still with me but getting better. I do plan on doing the Open Lines program this coming Sunday, April 23 and have booked our friend Robert Walker from the UK for Monday, April 24. Robert just wrote a controversial article on his website, "Why I Wouldn't Fly With SpaceX To The Moon As Soon As 2018 - If They Paid Me A Billion Dollars." 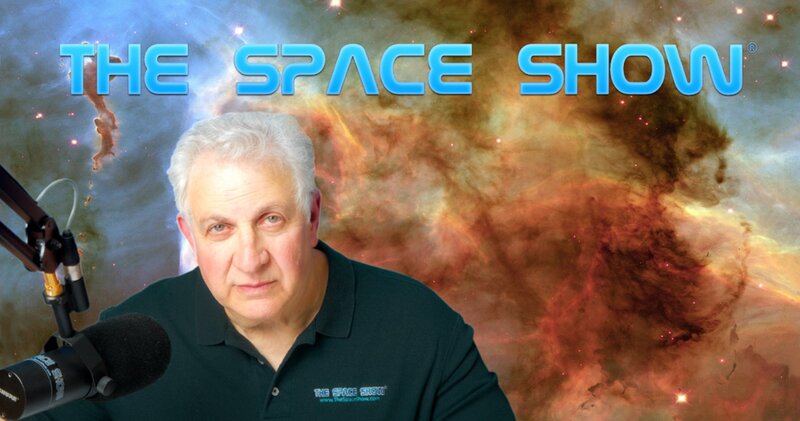 You can read Robert's article /www.science20.com/robert_walker/why_i_wouldnt_fly_with_spacex_to_the_moo.... Robert will discuss a few additional items he is working on during his return as a guest to The Space Show. As I mentioned above, my dental surgery has been rescheduled for Tuesday morning, May 23. If I need to make any programming changes for that week, I will do so on the newsletter for that particular week plus I will certainly announcement them on air in advance of the events taking place. I hope many of you can call our Open Lines show this Sunday and share with us what is on your mind regarding space, science, and such. I look forward to our Open Line discussions with you. Remember, iwe have just the one toll free line so if you have been trying for a while to get through the line is busy, please email me to let me know you are waiting to talk with us. I will move our caller along to make room for new callers.